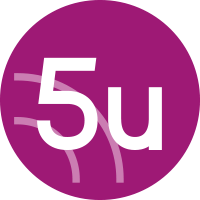 “I”, “our”, “us”, “we” or “5u” refer to the business, 5th Utility Ltd, Pear Tree Yard, Town Street, Sandiacre, Nottingham, England, NG10 5DU. We are registered with the ICO under the Data Protection Register, our registration number is: ZA287416. Under the GDPR (General Data Protection Regulation) we control and process any personal information about you using the following lawful bases. If we have your consent, we use this as the basis to email marketing material to new prospects. Sharing your information: We do not share your information with third parties for any reason other than to process your data as described above. For example we use Microsoft Office 365 to Store your contact details. Microsoft is in this instance a 3rd party, and we endure that our use of 3rd parties complies with the GDPR and DPA. We use Contractual Obligation as the lawful basis to fulfil our obligations to our customers. For example, to be able to deliver a product to and address, we have to process the delivery address. We try to only use generic company information, but from time to time personal information is used. For example a customer may require delivery to a personal address. We process your information in the following ways: Ongoing contact through the delivery of customer projects and customer support. Data retention period: We shall continue to process your information as required until the contract between us ends or is terminated under any contract terms. Distributors; where shipping is made directly from them to our customers. Corporate services such as our bank, accountants and legal representatives. Under most scenarios no personal data is shared beyond contact information. The reason we use this basis: To meet the obligations of the law. This is most frequently to ensure our staff get paid, and pay their taxes! However we will also meet any other legal obligations. Data retention period: Where a legal obligation is the basis of our processing, we will only process the data for a long as we are obligated by law. Sharing your information: We will only share your personal information as required by law. Third parties may include HMRC, ICO, Police, Health and Safety Executive. The reason we use this basis: The law allows us to share your information to protect your Vital Interest (life!) – so should the need arise, we will do just that. Data retention period: We do not retain data specifically for this purpose. Sharing your information: We do not share your information with third parties, unless required in order to protect those interests. We use legitimate interest at the lawful basis to process data to function commercially as would be reasonably expected. Where we use legitimate interest, we ensure we consider your rights, and any subsequent risk. To provide an example, we use legitimate interest as the lawful basis for backing up our data. The risk to the individual of this processing activity is minimal, and we have implemented steps such as data encryption to further reduce the risk. Data retention period: We carefully consider the data retention of our data, to ensure data is kept for no longer than is necessary, however this will vary based on the purpose for the processing. Sharing your information: We do share your personal information with third parties where necessary and they include; IT Services such as O365 (where the data is stored), Datto (The product that backs up our O365 data), . We do not process special categories of data. Clickable affiliate links may be displayed as a website URL like this; www.sophos.com or as a titled text link like this: Sophos. Clicking on any links may track your actions by using a cookie saved to your device. You can read more about cookies on the ICO Website. Your actions are usually recorded as a referral from our website by this cookie. If you have any concerns about this we suggest you do not click on any links found throughout the website, but instead navigate to the site using your preferred search engine.